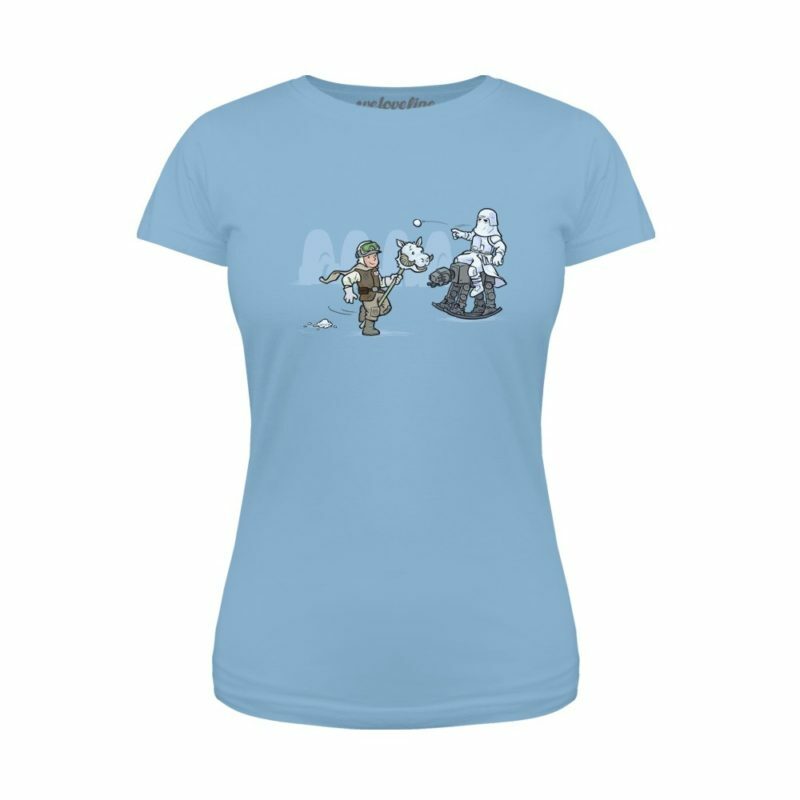 We Love Fine has 5 new women’s Star Wars t-shirts available. The 4 of the new t-shirts feature artwork by Chrissy Cheung and Chris Kawagiwa. 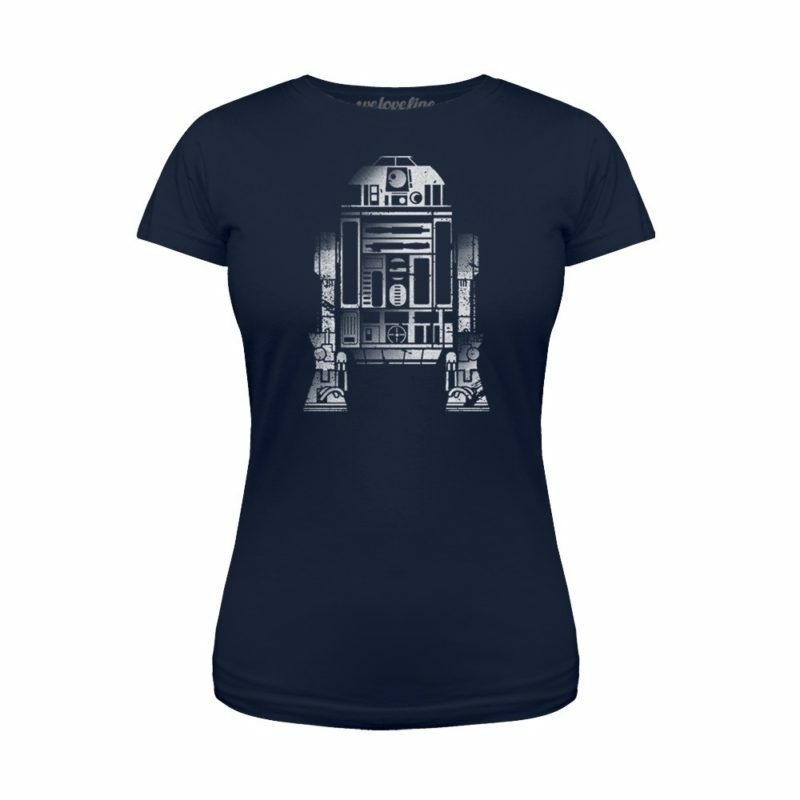 The first 2 designs feature Nouveau style artwork of A New Hope and Return of the Jedi by Chrissy Cheung. 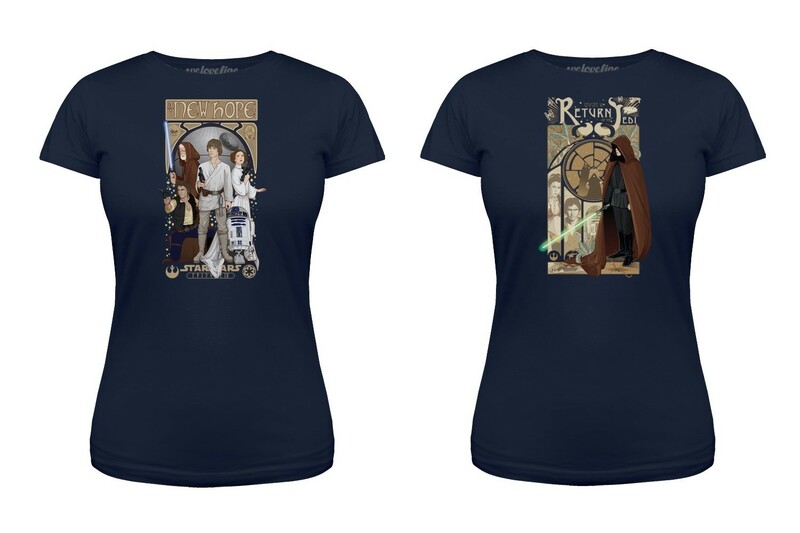 The next 2 designs feature cute Endor and Hoth themed artwork by Chris Kawagiwa, while the 5th new design features a retro weathered style print of R2-D2 by ‘Fan Freak’. 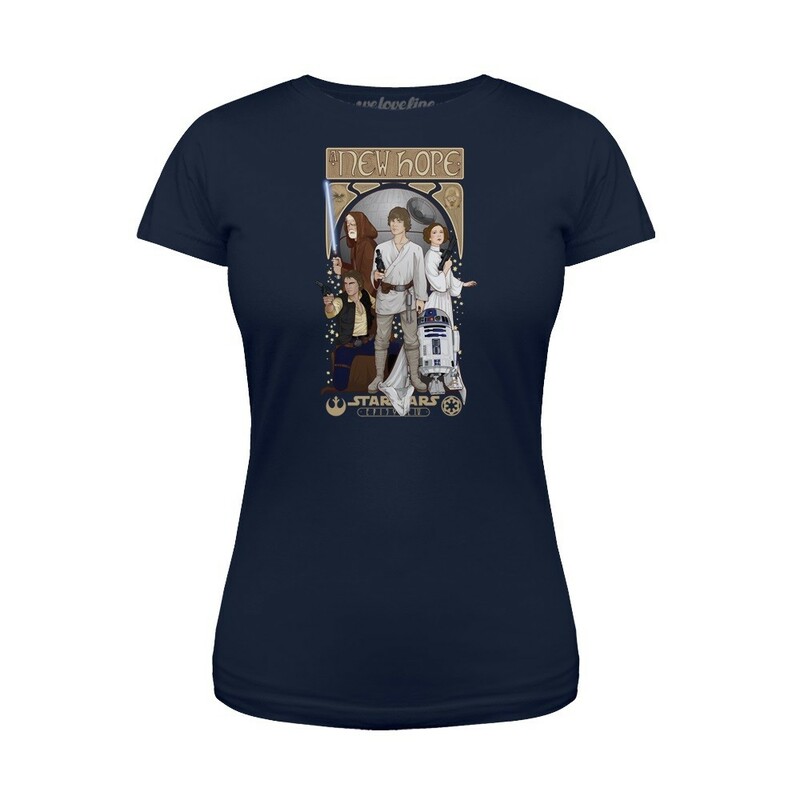 If you’re looking for the matching Nouveau ESB t-shirt, it was released back in February – check it out here. It is printed on a grey t-shirt, rather than navy blue like the ANH and ROTJ tees, but together they make a neat set – though I’d really love to see a prequel themed t-shirt set! All of these new tees are available in sizes S to 2XL, and are all priced at US$25.00 each. These are ‘made to order’ tees, so are printed and shipped after placing an order. 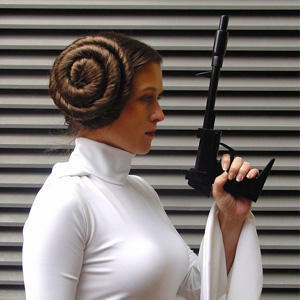 Due to license restrictions, We Love Fine can only ship their Star Wars range within the US – overseas customers can purchase items via a personal shopper service from mail forwarding companies. Photos sourced from and belong to We Love Fine. 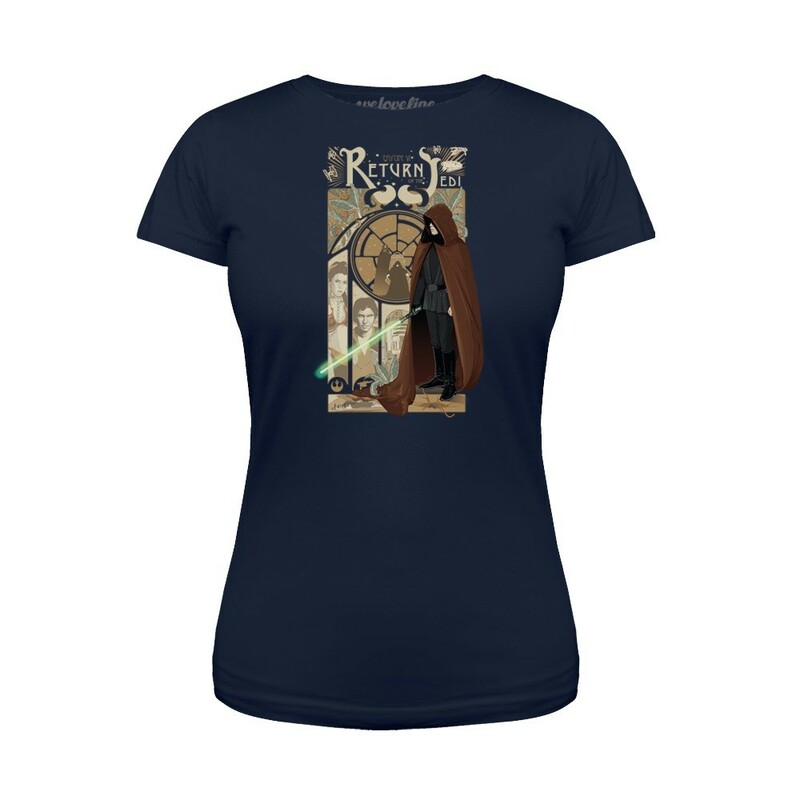 Previous Post Need a new tee for Ahsoka Lives Day?